Last month, a school in Michigan temporarily closed as whooping cough began spreading among the 1,200 students. It's the latest example of the public health risks caused by low vaccination rates — a growing national problem made worse by anti-vaxxer parents who are able to get help from sympathetic pediatricians. Most states require vaccinations for children to attend public schools, but some states also allow parents to exempt their children from immunization for "religious" or even "philosophical" reasons. All states, however, grant exemptions for medical reasons. It is your right to refuse to immunize your child due to religious or medical reasons. Different school districts handle exemptions in different ways. Some school districts require a signed letter from your doctor, religious leader, or the parent, stating why your child is not immunized. Meanwhile, according to data from the Massachusetts Department of Public Health, 1,192 Massachusetts kindergarten children filed vaccine exemptions during the 2013-2014 school year. That's more than twice the number from 20 years ago. These facts prompted Chelsea Rice, a health reporter at the Boston Globe, to find out why certain doctors were willing to grant medical exemptions, since many physicians in Massachusetts won't even treat families who refuse to vaccinate their children. As it turns out, there's a community of pediatricians who, for various personal and medical reasons, don't believe in compelling parents to get their kids immunized. Such caregivers are curiously misnamed "vaccine friendly" doctors, and lists of their names are shared among anti-vaxxers through word of mouth or posted on the internet. Dr. Deborah Bershel, who runs an independent family practice in Davis Square, was unaware that she was on Levatin's list, but said she is comfortable being classified in this way. Bershel believes that immunizations are effective and good public health policy, but she said that she is simply offering the options that the law outlines and can't turn parents away. "Our society, mainly the state of Massachusetts, requires that parents agree to give the immunization, and there's an implication that the parent should have a right to say yay or nay," Bershel said. "For me to then imply that the parents are bad parents I think is — I just cannot do that... The medical facts are that the immunizations are helpful, and I try to tell people how diseases have been eliminated, like bacterial meningitis, but many of these people feel they can do better research than the scientific community." We [also] spoke with Dr. Richard Moskowitz, who practices in Watertown. He was aware he was recommended on Levatin's site (they're friends). Moskowitz does not offer vaccines for his patients because, he says, they are creating a population with chronically weak immune systems. Moskowitz said he had measles as a child and survived, and he thinks his immune system is stronger for it. In his opinion, vaccines are only necessary for people who travel. He said he would only get a vaccine if he was traveling "somewhere like Africa." While Moskowitz survived the measles, that doesn't mean every child who contracts the virus will. 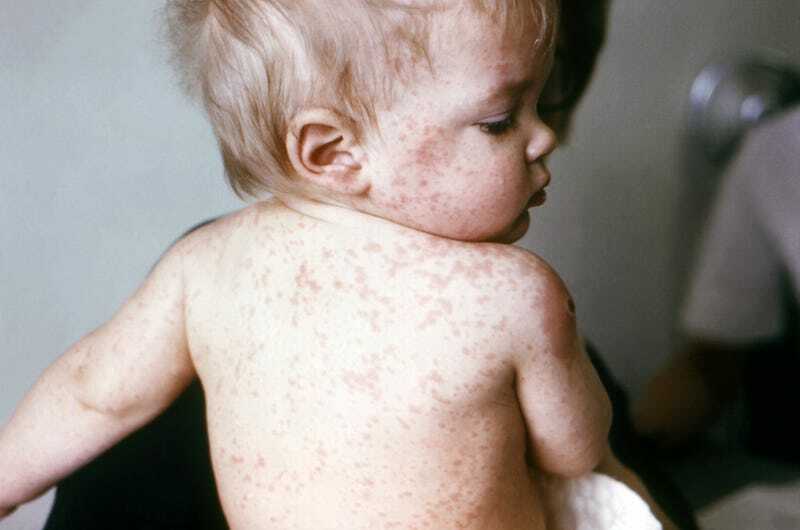 The Centers for Disease Control estimate that 1 out of every 1,000 children who contract measles will die from it. There are also numerous complications that may affect the child for the rest of his life: hearing loss and brain damage, to name two. In the U.S., there has been a record number of measles cases in 2014 since the virus was declared "eradicated" in 2000. From Jan. 1 to Oct. 31, the CDC reports that 603 people contracted the measles. The majority of them were unvaccinated.